Don't you love these? 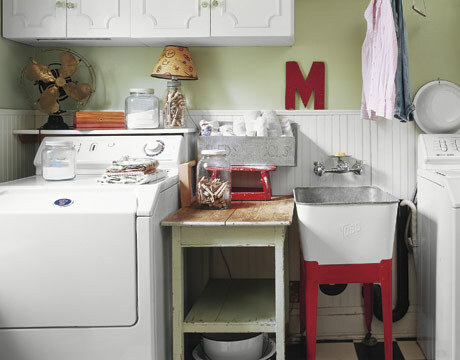 Have any of you all turned your laundry room into a charming little space? Have a wonderful Tuesday, lovelies!! 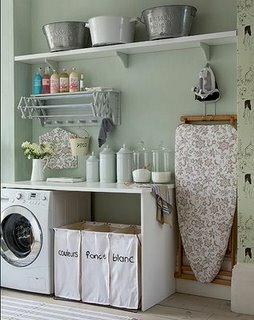 My laundry room happens to be in my basement and it's so not charming, if my laundry room looked like these i would be happy to do it! Love the second to last one. 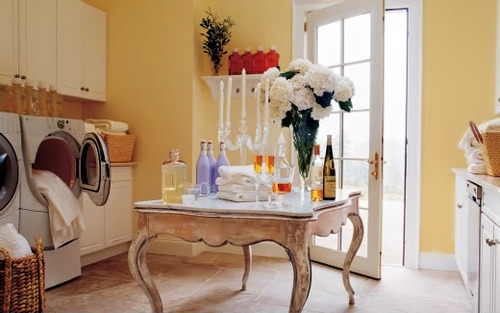 Is it just me or does that room combine laundry (boring chore) with drinking!! How cute! 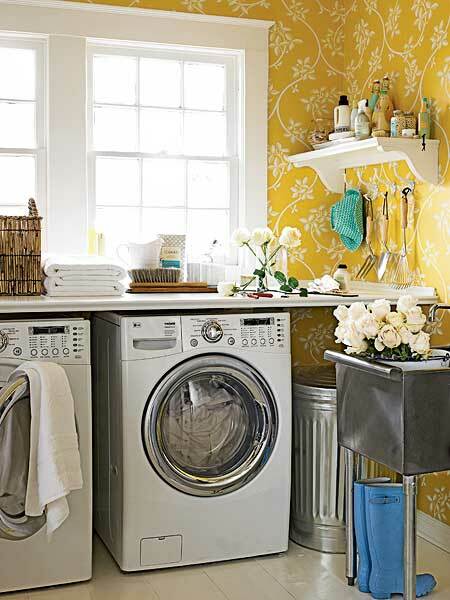 I love the first one with the yellow wallpaper :) I definitely wouldn't mind doing laundry in there! Oh wow! 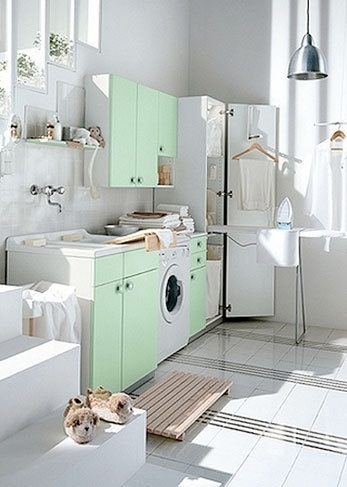 These laundry rooms are gorgeous! Honestly though, I like doing laundry. I'm not too big on ironing, but I love the smell of fresh laundry so I don't mind doing it. I know, I'm some weird alien creature! Ha! Love these photos! When Chris and I get our own place, I already have big plans for our laundry room area. as much time as i spend in the laundry room (yes ~ a 3 yr old in school makes you do that), i need to prettify my laundry room! thanks for the inspiration! I actually don't mind washing clothes.... but I can't stand folding and putting away laundry!! And ironing?? Forget it- this girl doesn't iron!! 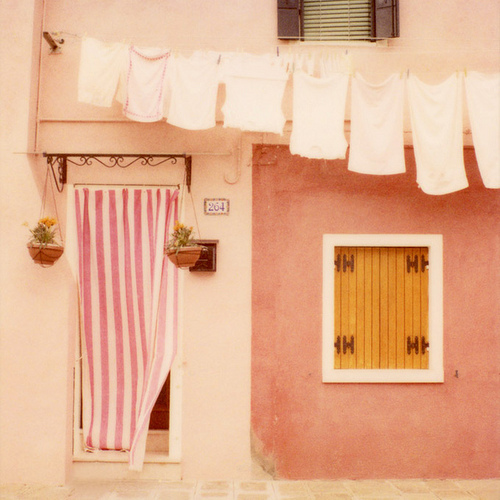 I'm loving those pretty laundry rooms! 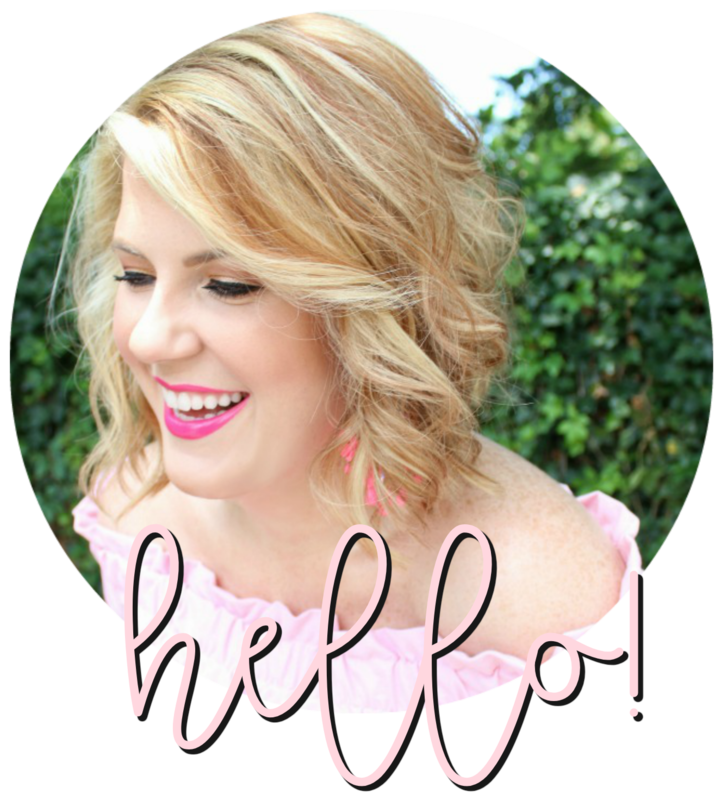 I love your blog - sooo cute!!! 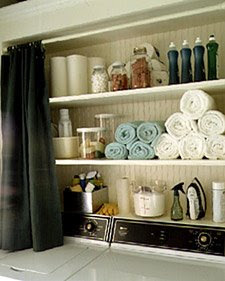 I wish my laundry room would stay this clean - with 2 kids and husband - they make alot of laundry!! Amazing how some color and gorgeous wallpaper can perk up a space, no? Beautiful, my dear! 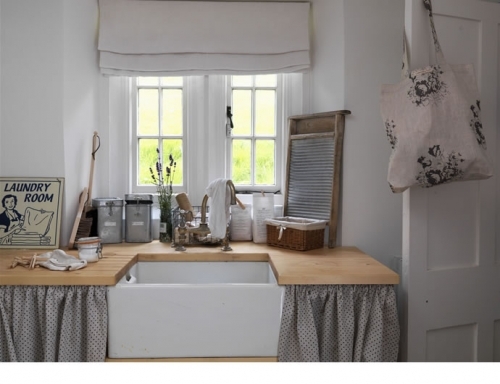 I looovvee great laundry rooms! great roundup! so inspired! 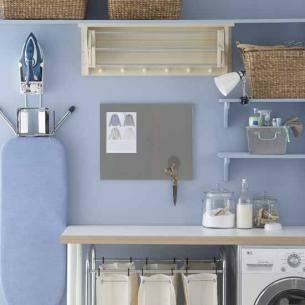 who doesn't love a well decorated laundry space?